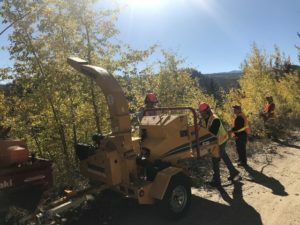 One day of Chipping previously cut and piled brush and a day of more brushing has left Myra Canyon closer to being ready for 2019. 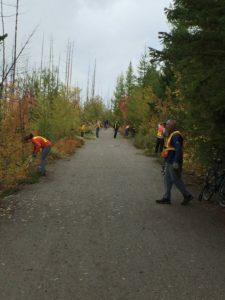 Many thanks to volunteers Kelly, Vern, Dennis, George, Denis and Karen on Sept 18th and to Gord, Neil, Ray, Dennis, Tom, Vern, Ian, Ryan and Reann on Sept 23rd. Great work! !